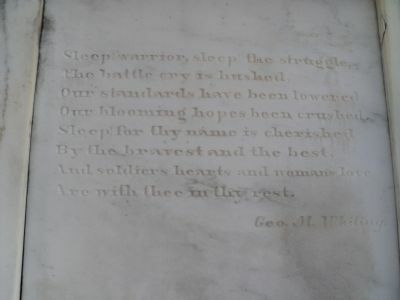 Sleep warrior, sleep the struggle. The battle cry is hushed. Our standards have been lowered. Our blooming hopes been crushed. Location. 35° 47.091′ N, 78° 37.625′ W. Marker is in Raleigh, North Carolina, in Wake County. Marker is on Hickory Avenue, on the right when traveling south. Touch for map. 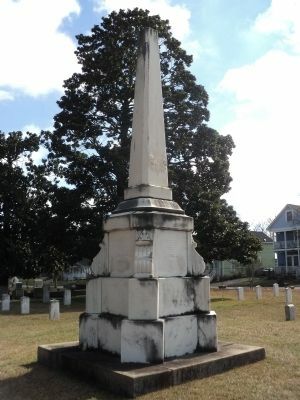 Marker is located in the Confederate Cemetery in Oakwood Cemetery. Marker is in this post office area: Raleigh NC 27601, United States of America. Touch for directions. 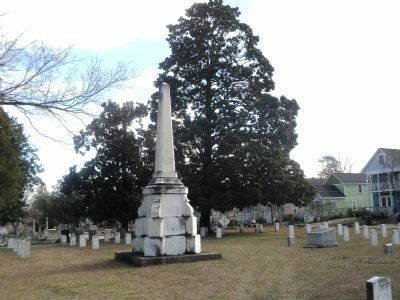 distance of this marker); Unknown NC Soldier CSA (within shouting distance of this marker); Anderson (about 300 feet away, measured in a direct line); William Ruffin Cox (about 700 feet away); Worth Bagley (approx. 0.2 miles away). Touch for a list and map of all markers in Raleigh. More. 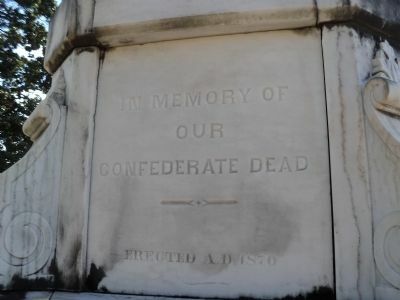 Search the internet for Confederate Monument. Credits. This page was last revised on June 16, 2016. This page originally submitted on February 12, 2013, by Bill Coughlin of North Arlington, New Jersey. This page has been viewed 415 times since then and 5 times this year. Photos: 1, 2, 3, 4. submitted on February 12, 2013, by Bill Coughlin of North Arlington, New Jersey.